One of the things that Android is known for is its community of hackers and tinkerers. Those users are the ones that are constantly tweaking the look of their phone by doing things like adding a new boot animation, using third-party launchers and lock screens or even installing a custom ROM. Soon the members of that group may have an entirely new operating system to play with, as Jolla CEO Tomi Pienimäki has revealed that his company is planning to make its new Sailfish OS available to install on existing Android hardware. Pienimäki recently explained to Finnish site Talouselämä that Jolla is a “device business and an OS business” and that it wants to distribute its Sailfish OS as widely as possible. The MeeGo-based OS is already compatible with Android apps, and Pienimäki says that it’s “fairly easy” to install Sailfish itself onto Android devices. Pienimäki sees this as a quick and easy way to help spread Sailfish, using websites that already distribute ROMs to post Sailfish software as well. Another upside to this distribution, Pienimäki says, is that the users already know what they’re doing when it comes to installing custom software. The exec claims that while custom ROM installation isn’t big in Finland, nearly half of smartphone buyers in China are upgrading their older Android devices with a newer version of the OS. Since those users already have experience in tinkering with Android and other software, Jolla wouldn’t need to teach them how to get Sailfish OS up and running on existing Android devices. Instead, it would just need to distribute the software and make sure that it actually runs on different Android hardware. Pienimäki didn’t dive into the details of Jolla’s plan to distribute Sailfish OS for installation on Android products. Right now it sounds like the strategy is still in its early stages, like Jolla and Sailfish itself, but it’s a pretty interesting idea that could help to grow awareness of the platform and get it in the hands of users that otherwise wouldn’t have given it a shot. Pienimäki did say that since Jolla won’t get money by selling Sailfish, the company needs to add things to the platform to create a viable business model. He suggested applications, services and advertising as possible ways to generate revenue. 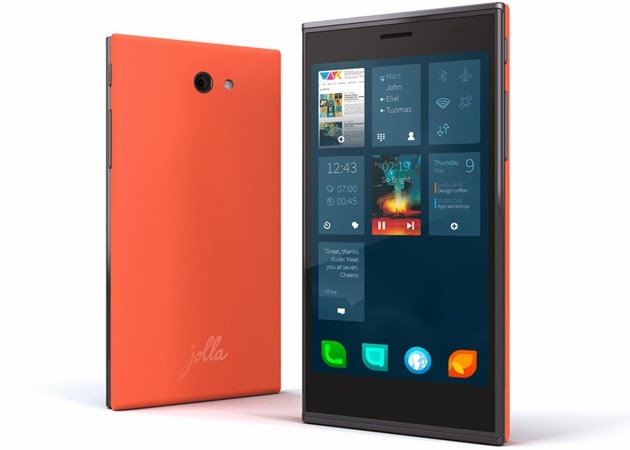 What do you think of Jolla’s plans? Would you install Sailfish OS onto your Android phone?